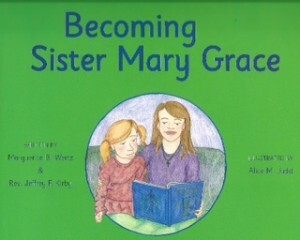 ‘Becoming Sister Mary Grace’ Just Released! Just Released!! Join Father Jeffrey Kirby and Margurite Wertz on this journey to religious life with Sister Mary Grace. A follow up to “Becoming Father Bob,” this new book is a must have for any Catholic children’s library, home, or school! To order your copy today, please visit out Signo Store! Signo Press is happy to announce “You’re Way Too Busy To Read This” as we begin the Advent season! This booklet by Bryan J. Murdaugh outlines a seven-week, seven-step process for re-centering your life on Christ, family, prayer, and discipleship while maintaining a productive life. The 5″x7″ 20-page booklet will debut at the National Conference of Catholic Youth Ministers and be available online from signopress.com. When Bryan isn’t writing music, sharing the Word with 5thousand, or hanging out with his family, he’s a freelance web developer. Bryan’s quick wit and unique brand of humor allows him to get teenagers excited about the Gospel. Bryan’s talents go beyond his quick wit, though: his musical abilities are second to none and his original compositions offer prayerful and upbeat ways to praise and worship our King. In addition to that, Bryan’s degree in computer engineering from the University of South Carolina enables him to offer specialized insights into the use of social media and other technologies to spread the Gospel message. Bryan also enjoys writing and playing liturgical music and entertaining crowds with his dynamic public speaking. Bryan lives in Irmo, South Carolina with his wife and three children.